Sriya Bhattacharyya, M.A., is a Ph.D. Candidate in Counseling Psychology at Boston College. Her clinical work has largely focused on treating complex trauma, specifically working with people who have experienced sociopolitical violence, forced migration, human trafficking, and are seeking asylum or protected legal status in the United States. 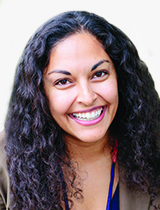 Sriya takes an eclectic, client-centered approach in her work and is informed by liberation and feminist theories. In addition to clinical work, Sriya has worked in international development as a researcher, teacher, and program developer. Sriya is completing her dissertation on the psychological experience of Muslim women activists. She has co-authored eight peer-reviewed publications and has obtained grant-funding to develop community therapeutic arts programs. She has a certificate in Traumatic Stress Studies from Justice Resource Institute's Trauma Center and a certificate in Human Rights and International Justice from Boston College. 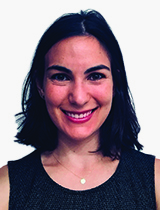 Kiki Fehling is a sixth-year clinical psychology doctoral candidate at Rutgers University. Kiki has extensive clinical experience providing evidence-based treatments, such as Cognitive Behavioral Therapy (CBT) and Dialectical Behavior Therapy, to adults across the lifespan. Her research interests focus on studying the emotional and social predictors of nonsuicidal and suicidal self-injury, particularly in LGBTQ adults. 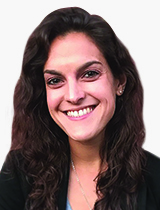 She is a proud student member of the American Psychological Association, the Association for Behavioral and Cognitive Therapies, and the NYC-CBT Association. Christina Mastropaolo is a fifth year doctoral student in the Counseling Psychology Ph.D. program at Seton Hall University. She has extensive experience implementing evidence-based interventions grounded in psychodynamic theory with acutely and chronically mentally ill populations. 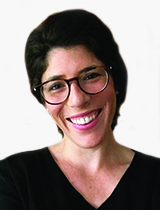 Her clinical work has focused largely on treatment with sexual minorities, HIV prevention and psychiatric care, and personality disorders, with a particular interest in the intersections of minority stress and mental illness. Her dissertation examined the role of attachment in experiences of affiliate stigma among parents of lesbian, gay, and bisexual individuals. 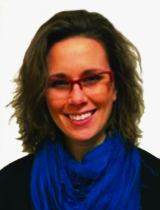 Lena Neufeld is a fifth year doctoral candidate in Clinical Psychology at Long Island University – Post. Her clinical work has largely focused on treatment for psychosis and serious mental illness in the context of underserved and marginalized populations, such as youth in foster care and undomiciled adults. Lena's work is grounded in relational and interpersonal psychodynamic theory. Her current research explores how the challenges, discomforts, and risks of practicing psychotherapy are mediated by courage. 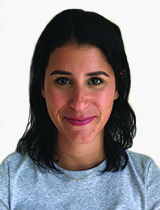 Emma Racine is a fifth year doctoral student in the Combined School-Clinical Psychology Program at Ferkauf Graduate School of Psychology at Yeshiva University. Emma has extensive experience implementing evidence-based and psychodynamic treatments with high-risk children and adolescents in a range of environments, including school, outpatient, day treatment, and inpatient settings. Her doctoral research focuses on the parental experience of parenting critically ill premature infants in the Neonatal Intensive Care Unit. Additionally, Emma has authored a book chapter and co-authored articles in peer-reviewed journals. 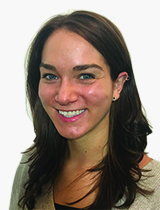 Lauren Yadlosky is a sixth year doctoral candidate in Marquette University's Clinical Psychology program in Milwaukee, Wisconsin. Her primary clinical interests include working with children, adolescents, and families in multi-stressor environments with complex emotional and behavioral presentations. She has a range of experience in various evidence-based treatments, including Dialectical Behavioral Therapy (DBT) and Parent-Child Interaction Therapy (PCIT), and aims to integrate social justice and intersectionality perspectives into this work. Her research interests include investigating and developing more effective methods for assessing and understanding intersectional identities and minority stress processes. Zakieh Bigio Klurfeld is a fifth year doctoral candidate in Clinical Psychology at Hofstra University. Her clinical experience includes work with children, adolescents, and adults, with an emphasis on the treatment of anxiety and depression in young adults. She is currently researching whether non-bereavement losses, such as job loss and divorce, can lead to grief and post-traumatic growth. Zakieh also believes strongly in mental health advocacy and serves on the Advisory Board of The Children's Defense Fund - New York. 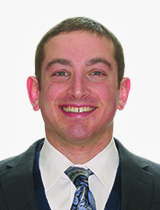 Matthew Robins is a doctoral student in the Combined Clinical Psychology and School Psychology Program at Yeshiva University. Matthew has extensive experience helping children, adolescents, families, and adults across a variety of settings, including community mental health clinics, hospitals, and schools. As a wilderness/survival guide, Matthew has utilized his clinical skill-sets to facilitate wilderness adventure and leadership programs for adolescents and emerging adults. His research focuses on the intersection between defense mechanisms and religious coping, and how these constructs work together to buffer psychological distress. He has presented and provided workshops for teachers and parents related to trauma-informed care and behavior management.